While delivering his acceptance speech after he was officially declared winner of the PDP primary on Sunday, Atiku Abubakar thanked former President Olusegun Obasanjo for picking him as his Vice President in 1999, saying without this, he could never have become the PDP presidential candidate. His words, "Finally, on a personal note, I wouldn't have been standing where I am today if my former boss, President Olusegun Obasanjo, had not made me his Vice President. "Under his tutelage, I learnt quite a lot, and I believe the experience I have got is going to impact on how I eventually govern this country. I wish to pay my personal tribute to him." 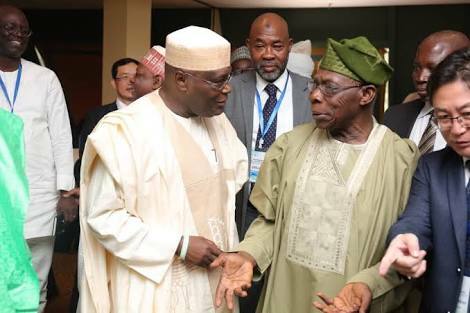 It remains to be seen if Atiku's latest charm would convince Obasanjo to pipe down on his aversion to the presidential ambition of his one-time deputy.